For years the $1000 mark has been a psychological bar for laptop buyers and in this article we’re going to talk about what you can expect in 2018 from a gaming laptop at this price. First of all though we’ll have to talk about the kind of games you’re playing. If you’re just into titles like PUGB, LOL, Dota 2, World of Tanks, CS:GO and the likes, you’re not going to need that much in terms of performance and you can opt for one of the more portable thin-and-lights out there. If you’re into AAA titles on the other hand, you’ll need a fast processor, graphics chip and plenty of RAM, but as this price point you’ll only get these in full-size laptops with bulkier constructions. Since both are supposedly gaming devices and games are primarily dependent on the GPU, the recommendations below are based on the graphics chips inside the available options. 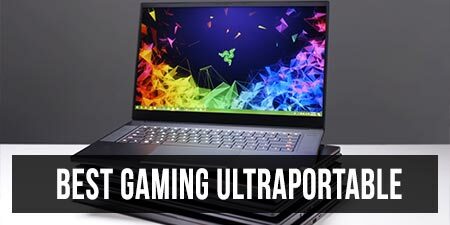 As of right now the only gaming ultraportables to really consider at under $1000 are those built on Intel Core U platforms and Nvidia MX150 graphics. 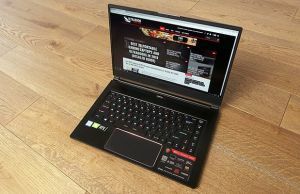 This article includes a detailed list of such MX150 laptops, as well as details on the chip’s performance and what to expect from it. There is however an important aspect you must be aware of. Nvidia actually offers two versions of the MX150 chip, a full-power 25 W TDP option, as well as a low-power 10W Max-Q model designed for thin and light computers (details in this article). This slower MX150 Max-Q version is implemented in pretty much all the available ultraportables that qualify to this segment, like the Asus Zenbook UX331, the HP Envy 13 or the Xiaomi MI Notebook Air. As you can see from our review of the compact and light Zenbook UX331, these laptops are still capable of handling lighter games at FHD resolution and medium details, but the more demanding titles are a hard nut to crack. So while you do get a much more portable laptop if you shop in this niche, you’ll significantly sacrifice on the performance side, and in the end it’s up to you whether this trade-off is acceptable or not. 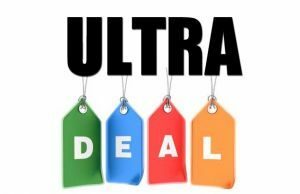 When it comes to full-size laptops the offer is significantly different. In this class you will find computers built on Intel Core H quad-core and six-core processors, with more RAM, hybrid storage and Nvidia GTX 1050 or 1050 Ti graphics. This kind of hardware can handle all the recent titles at FHD resolutions and fairly high details, just not maxed out in some cases. Performance differs between SKUs, but overall these mid-range gaming laptops don’t run into throttling problems or other thermal issues, nor do they get very hot or noisy with use. There is however a significant performance gap between the GTX 1050 and the GTX 1050 Ti chips, with the latter scoring about 20-30% better in benchmarks and actual games. That’s why my advice would be to opt for a GTX 1050 Ti configuration, it should age better and allow you to play newly released games for the next 2-3 years. rather mediocre speakers and webcams. But let’s also cover a few of the SKUs available at the time of this article, May 2018. The Lenovo Yoga 520 is still one of the best buy gaming laptops under $1000, despite the fact that is still based on KabyLake quad-core processors and hasn’t been yet updated to Coffee Lake. It’s a well balanced laptop with few flaws though, if you can look past the small 45 Wh battery, as you’ll find from our detailed review. The Acer Nitro 5 is another excellent buy for the money, as it’s more affordable than the Lenovo in most regions and doesn’t have deal-breaking flaws either. On top of that, it’s already available with Coffee Lake hardware. The Asus TUF FX504 is a little different from the other options. Its main selling points are the Coffee Lake hardware, rugged build and a 120 Hz screen, but at the same Asus went for a TN panel without GSync, so it’s arguable whether this trade-off is worth it just for the higher-refresh rate alone. On the other hand the FX504 is aggressively priced, with the i7-8750H model, GTX 1050 Ti and dual-storage going for $999. 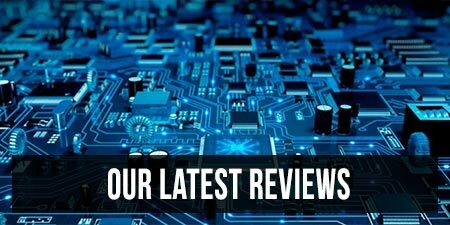 Follow this link for our in-depth review and more details. As of the second part of 2018, Asus also offers an update of the FX504 series, the TUF Gaming FX505 line, with a more compact body, 144 Hz IPS screens and improved performance. You can find all about it in our review. The 2018 updates of the Dell Gaming series are also worth considering, especially if you’re living in the US. Dell offers G3, G5 and G7 models, all built on Coffee Lake hardware and GTX 1050/1050Ti/1060 MQ graphics, as well as a 15-inch FHD IPS screen and a 56 Wh battery, but with slight differences in design, size and features. The G3 is the thinner and lighter of the bunch, and also the cleaner looking, without big exhaust grills on the back. The G5 and G7 are a little thicker, heavier and should get a more complex cooling implementation, with supposedly better performance and thermals. We’ve yet to review any of these, but you’ll find more opinions online. 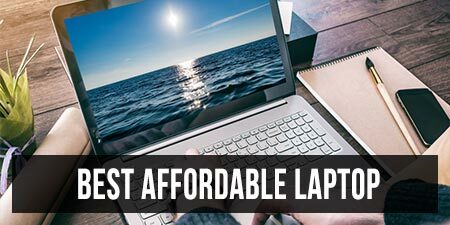 We covered sub-$1000 laptops in this article, but as a potential buyer you should also consider those options just slightly above this bar, as there’s a good chance you might sometimes find them discounted, and on top of that some of them are just smarter picks for the money. I’d especially keep an eye on some of the more affordable GTX 1060 laptops out there, as the 1060 is roughly 25% faster than the 1050 Ti and handles pretty much all the recent games at FHD resolution and maximum graphics details. On top of that, these higher-tier laptops usually bundle a little bit nicer screens and speakers, as well as some higher-quality materials in their build. The Acer Predator Helios 300 is particularly interesting, as one of the most affordable notebooks with a full-power GTX 1060 6 GB graphics chip. We’ve reviewed it in this article, and we also covered the updated Coffee Lake configuration in this article. It’s well made, it packs a good-enough display and performs well, but on the other hand can get noisy and hot with games, only gets a 48 Wh battery and a rather mediocre set of speakers. The Dell G7 7588 Gaming should also be on your list, especially if you’re living in the US, with the GTX 1060 configurations selling for around $1100, but occasionally available for under $1000. This one is built on a 1060 Max-Q chip though, so it’s not going to perform as well as the Predator. 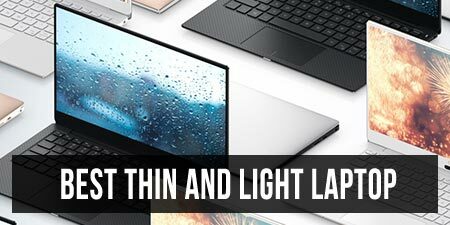 But the G7 is a nicer looking computer with a bigger 56 Wh battery and a Thunderbolt 3 port, as already mentioned above. So for the right price, this could be a good buy. 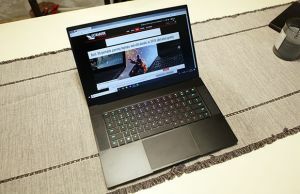 The Lenovo Legion Y720 also makes it to this selection, as one of the better 1060 laptops out there. It’s bulky and heavier than most others, so not the ideal travel companion, but otherwise it’s built really well, performs well and packs a 60 Wh battery and a Thunderbolt 3 port. Just keep in mind that for the time being the Y720 is not available with six-core Coffee Lake processors, unlike the other two options above, but I’d reckon that should change soon. 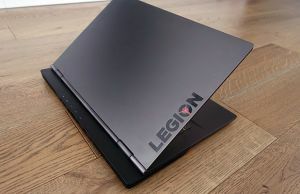 We’ve reviewed the Legion Y720 here on the site, make sure to read through all the fine details to find more about it. Does Asus fx504 have throttling issue?.some people are saying it has and some saying it is resolved after bios update.also tell me about it's cooling and durablilty.